It is an interesting phenomenon that is often overlooked and underappreciated outside of the certain small circles of those who watch these sorts of things. Gold is flowing from West to East. What it means and will mean is worth considering. In the bottom portion it is easily seen that the monthly offtake is steadily increasing. And it is also apparent that China is outpacing India in the accumulation of gold. 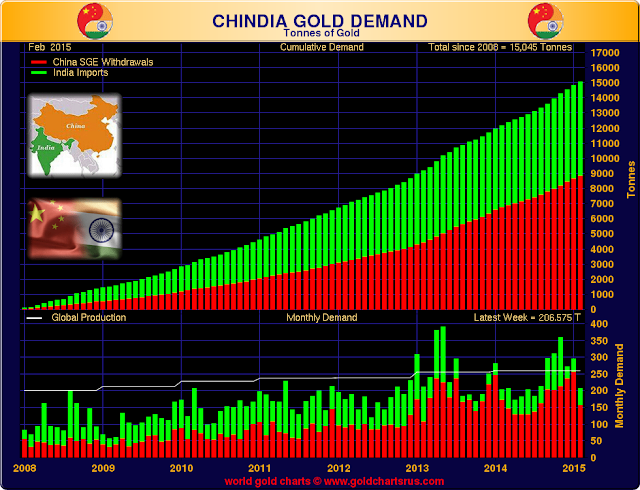 These charts are from Nick Laird, who chronicles all things gold and silver, at Sharelynx.com.